You are here:Home-Blog, Disability Attorney, Long Term Disability Attorney, Social Security Attorney, Social Security Disability Benefits Louisville, Social Security Help Louisville-I Have Chronic Liver Disease – Am I Entitled To Disability Benefits? I Have Chronic Liver Disease – Am I Entitled To Disability Benefits? A disability attorney may provide assistance to all SSDI applicants. Whether you are 30, 40, 50, or 60, the assistance of an experienced disability attorney may help you navigate the often lengthy and complicated process of applying for disability benefits. Working with a disability attorney ensures that all evidence in support of an application for disability is gathered, organized, filed with the SSA, and presented when otherwise required. We take great pride in our staff’s skills in building and presenting a case for disability benefits. Social Security treats chronic liver disease as a category of diseases that include hepatitis, cirrhosis, sarcoidosis, liver failure, alcoholic liver disease, liver cancer, and other liver diseases. 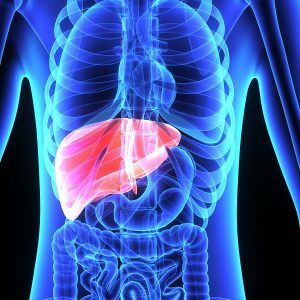 Chronic liver disease may result for a variety of reasons such as alcohol and drug abuse, viruses, autoimmune disorders, hereditary factors, and even environmental toxins. Symptoms of chronic liver disease include jaundice, fatigue, abdominal swelling, diarrhea, and mental disorientation. Gathering information, organizing evidence, and ensuring that an application is accurate and complete prior to filing are just a few examples of the invaluable assistance that an experienced disability attorney may provide. Retain the services of an experienced, knowledgeable, and qualified Social Security Disability attorney. We offer free consultations, so there is absolutely nothing to lose! Contact the Sullivan Law Office to get the help you need in the Louisville metro area. Call 888-587-0228 or visit us online.